Which footbal fans travel the most during the season? 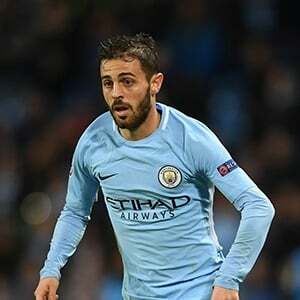 Manchester - Pep Guardiola must decide how to shuffle his Manchester City line-up for Wednesday's visit of struggling Cardiff to the Etihad, with an eye on the weekend FA Cup semi-final against Brighton. Signed from Monaco for £43 million two years ago, the 24-year-old took his time to adapt to life in the Premier League, in one of the most expensively assembled squads in the history of the game. Bernardo's excellence is bad news for Leroy Sane, the German international who was so effective last season, and Riyad Mahrez.